1. 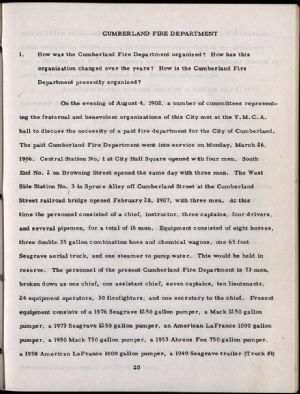 How was the Cumberland Fire Department organized? How has this organization changed over the years? How is the Cumberland Fire Department presently organized?